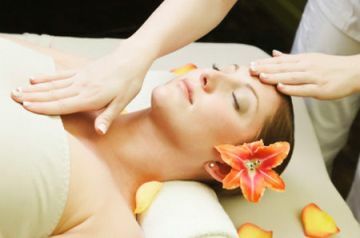 Reiki is a Japanese word, and it means universal life-force energy. Basically, it is a healing technique based on energy, used to heal the body, reduce stress and to relax the one using it. But these arent the only benefits, for it also heals medical problems like high blood pressure and a disturbed immune system. But the masseurs discovered that if they use aromatherapy blended with Reiki techniques, the clients mood and spirit health increases noticeably. If you are still wondering how this really works, here is the explanation. Its not literally a massage, because the masseur doesnt put pressure on the clients body. Instead, he just holds his hand above the designated area, in order to channel the energy. As it is known in the Chinese culture, the human body has seven major chakras points, each one related to a group of organs. When the practitioners use aromatherapy blended with Reiki, they direct the energy better than without the aromatherapy, mostly because this way the client is more relaxed and his body is eager to receive the energy. Lavender essential oil is one of the best and most used essential oil in combination with Reiki. Because it has a positive effect on treatments for headaches and insomnia, in Reiki it is used in relation with the most sensitive bodyparts. It has a relaxing effect and it stimulates the appetite. Another essential oil used is the sandalwood, antiseptic and relaxing. It is used in Reiki because of the belief that sandalwood essential oil helps create confidence and trust between the masseur and the client. Bergamont and peppermint essential oils are also used in Reiki. The first one has properties believed to uplift the soul and to let the peace and happiness enter the body. The peppermint is used as a purification agent, which has the properties of removing negative thoughts and awakening the mind into its consciousness. The fifth essential oil for the bodys energy is the clary sage. Anti-depressive, anti-inflammatory and antibacterial, these are only a few of the properties of this essential oil. When the body is hurting on a specific area or chakra, the clary sage essential oil helps to open the channels that are blocked, so that the energy can revive them. The aphrodisiac patchouli essential oil is used against allergies and impurities. Regarding the soul, this oil increases different aspect of live when it comes to sensual qualities. The last essential oil used with Reiki is the lemon essential oil, with purification and healing properties. As it is already known, lemons energize the body and the mind. Now put a fresh hot water into the bowl and add 1 or 2 drops appropiate essential oils, simply sit within 3" from the bowl, close your eyes, relax and inhale, take a deep breath into your belly, think about the aura affirmation and let your mind wander freely for about 15 minutes. Take a rest for half an hour to 45 minutes then you can do it again. The best time to do this exercise is before you go to sleep. This exercise will make your body relax and make full use of the harmony impluses. You can mixed 5 drops essential oils with 30 ml carrier oils. Then rub energy center related to your affirmation on regular basis in circular motion for about 15 minutes then place your hand on it. Let the essential oils absorb through your skin and repeat the healing words. Make sure you let the reiki energy flow through your hand naturally.